The Peoples Democratic Party, PDP, in Kogi state has raised the alarm, alleging that there are plans to assassinate the Senator representing Kogi West senatorial district, Senator Dino Melaye at his home. The Kogi state spokesman of the party, Usman Okai, in a statement obtained by TheCable, on Monday, alleged that the planned assassins of Senator Melaye intend to storm his house in Abuja, shoot sporadically and in the process, assassinate him. The party also said it would not allow the use of security personnel to harass, arrest and intimidate its members. “We have it on good authority from a reliable source privy to the plan…allegedly mandated to carry out this undemocratic plans between tonight 10th February and tomorrow. “The PPCC notes that the fortune of the party in the coming election has continued to soar on a daily basis. No amount of intimidation would change the minds of the peoples’ rejection of the APC-led administration and for all its candidates in Kogi state. “The PPCC called on the people of Kogi State, particularly its members in Kogi west senatorial district to be vigilant and watchful as the Gov. Bello’s administration, having failed to perform, now realises that its time is up, now has resorted to intimidation, harassment and arrest of members of the PDP,” it said. 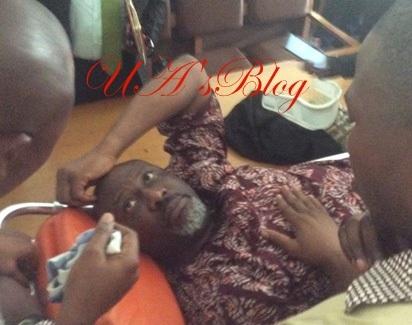 Recall that Senator Melaye had, after the more than eight days of hide-and-seek game between him and the police who had surrounded his palatial Maitama residence, surrendered himself to the police in Abuja. The police later took him into custody after accusing him of culpable homicide, an allegation he denied. Meanwhile, the Kogi state PDP has petitioned the acting Inspector-General of police, Mohammed Adamu to intervene in the issue.